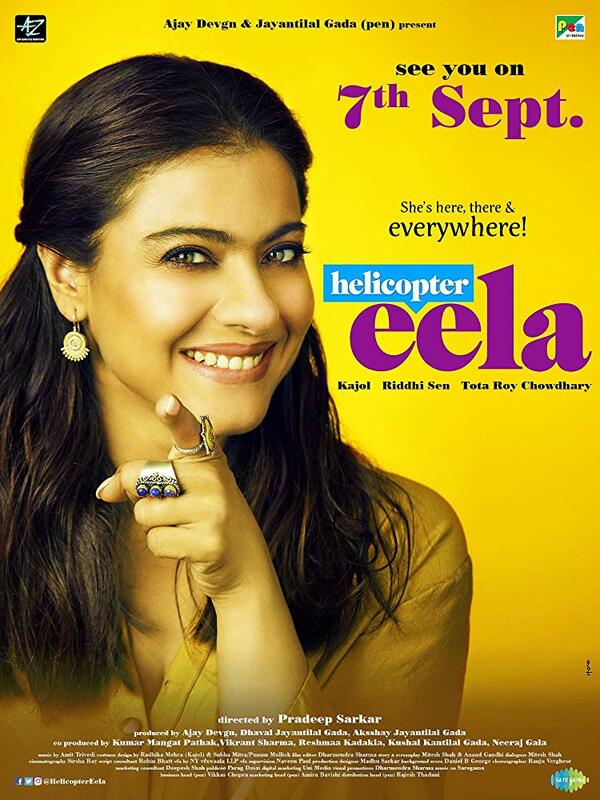 Helicopter Eela is comedy drama Indian hindi film. It was released in 2018. Riddhi Sen, Kajol played lead roles. Neha Dhupia, Atul Kulkarni played supporting roles. It was directed by Pradeep Sarkar and produced by Ajay Devgn, Jayantilal Gada, Aksshay Jayantilal Gada. Music composed by Amit Trivedi, Raghav Sachar.